Leavitt and Lisbon each have two players chosen to play in all-star game. Senior guard made a lasting impression in her third state championship game in four years. 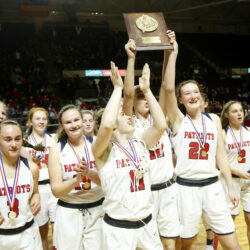 Bri Jordan scores 15 points to lead the Patriots over MDI in the Class B girls basketball state championship. 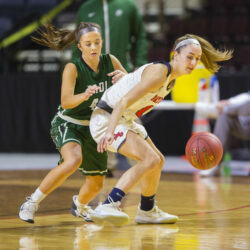 Gray-New Gloucester and MDI meet for the third time in the state championship. Gray-New Gloucester duo looks to match state championship they helped win two years ago. 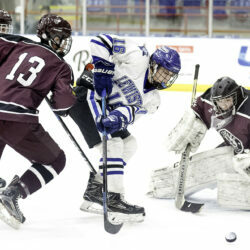 Gorham scores three times during a five-minute power play and has timely goaltending. 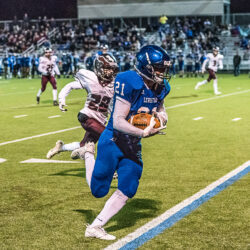 Lewiston is a top seed again, but the competition is close behind in A North, as it is in all the regions. 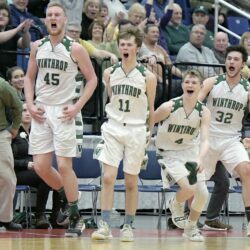 Winthrop, Gray-New Gloucester and Oxford Hills reflect on regional tournament runs and look ahead to state championship games. 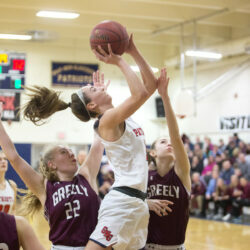 Both Freeport and Gray-New Gloucester have added to their tournament resumes recently, but only one knew how to use it to their advantage. 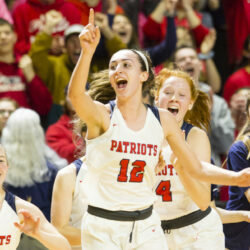 Patriots start fast, Eliza Hotham hits important trey to hold off Freeport in B South final.